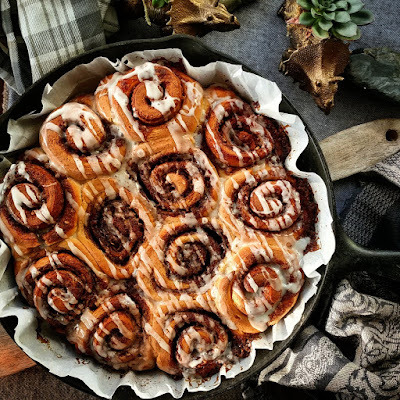 cinnamon swirls and cinnamon sugar and cinnamon buns! y'gotta come correct with the treats, too. and we greet the new hottness with fancy bits of business every time. 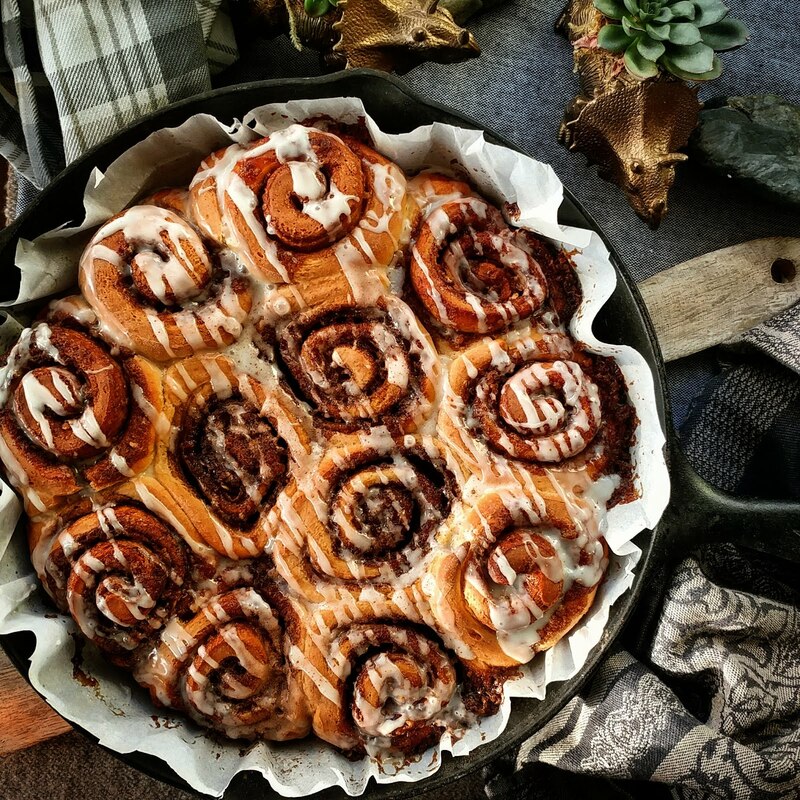 so, this time, it was the best, and most perfect cinnamon rolls i've made in a minute. and the buttery, melty interiors were magnificently expert. and i bake a LOT. what's the key to success? too much is the right amount. MORE cinnamon and sugar and butter and icing. and maybe even MORE cinnamon sprankles on top. and if you worry that there's an excess of butter, and it'll get too syrupy? just add a lil handful of quick oats, and they'll soak up any and all exxtra sauce. you want a recipe for these? a do-it-yourself scene-y-scene playbook for being rad as heck? over low heat, until the butts are melted and the s'milk is a bit steamy. beat it up for 11 minutes, and let it rise for fifteen. and coat it with a fat dark-brown-sugary superslick sweet filling. leaving one long edge un-sugared for about an inch-worth of dough. that's important, because that's the seam, son. roll up your sugary dough in a tight spiral, and moisten that plain edge to seal it shut. and then cut those quarters into thirds. you've got a dozen of 'em ready to arrange on that parchment. and then a little exxxtra cinnamon on top to turn it up to eleven. i ate five in one shot. and i'm eating ALLLL the treats to try and fill in a few blanks. so far, it isn't working, but i still had another one at AMPERSAND TATTOO. half of these live inside me now. they were just too damned buttery and smooth. they slid right down the hatch, and i couldn't help myself. like, for real, i can't help myself. the same as it ever was. it's coooooooold out there today. ...but like, for really realsies, man. just like it always will. and clockwise revolutions of rhythm and resonance. OLD AND NEW AGAIN AND AGAIN!